Yes I downloaded the initial version when the game was first released. I don't remember ever seeing the Windows 7 compatible version ever released on Tokyotosho or Hongfire so I probably need to find it and download it. I'm also guessing that another problem that I had was that the old version did not like 64Bit either so it just crashes as soon as I start it. Because I can't find the Win7 compatible version of FA anywhere on the internet be it on the torrent lists or DDL providers. Hahaha. I never thought about taking a look at the project page since I did not think about downloading the patch anytime soon until I resolve the Windows 7 issues with the game. But I never expected that the issue was already solved. Anyway thanks. what is the translation status now?? and is the Kiriha patch ready??? Some progress in the meantime. Kanade route 10% complete. And apparently they're still waiting on a couple of beta reports to be handed in for Kiriha's route. Thanks for the update. Hope you guys can get these difficulties sorted out by the end of the week! 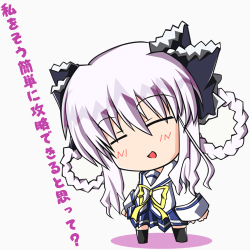 I have windows 7 and I can not play Fortune Arterial. I know many do not like spoilers, so if someone send me the summary in a private message I'd appreciate it greatly. A greeting.